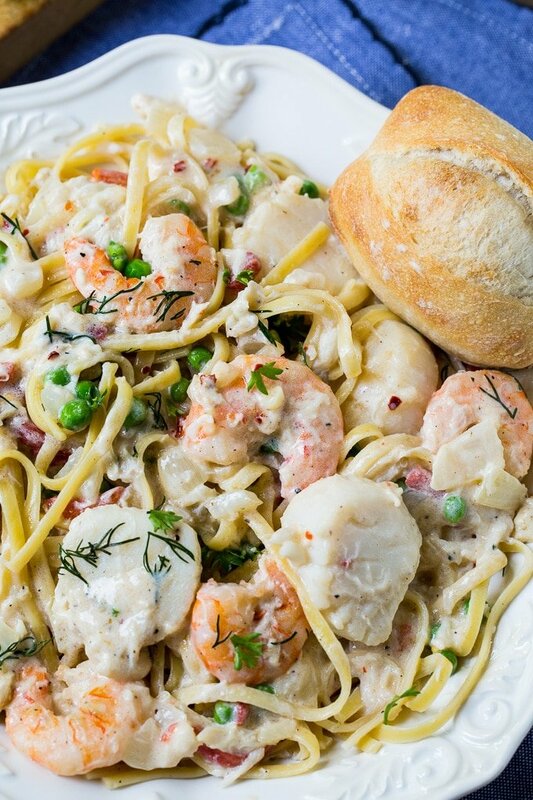 Lowcountry Fettuccine is a delicious seafood pasta with lots of shrimp and scallops and crab. It’s in a super creamy sauce flavored with some sherry and parmesan cheese. 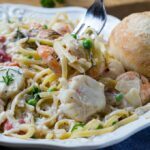 Lowcountry Fettuccine is perfect for a romantic meal or a special occasion. It really is great comfort food. I like to add some peas, but you could leave them out. I also add a few diced pimentos and some red pepper flakes to spice it up some. This recipe is very adaptable. You could use all shrimp or sub broccoli for the peas. 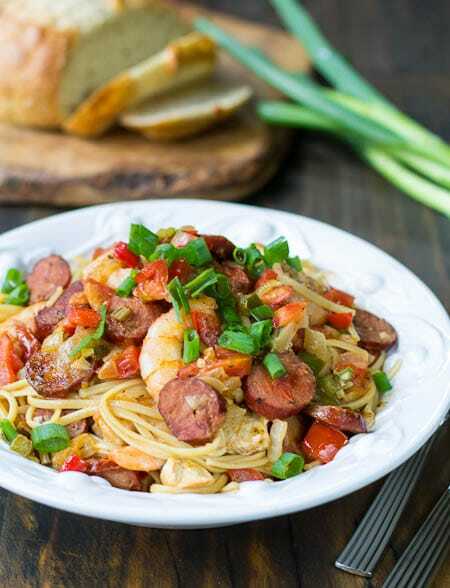 The ingredient list for this Lowcountry Fettuccine may look a little long, but the whole dish can be made in under 30 minutes. That’s one of my favorite things about seafood. It cooks up so fast! Lowcountry Fettuccine is a delicious seafood pasta with lots of shrimp and scallops and crab. 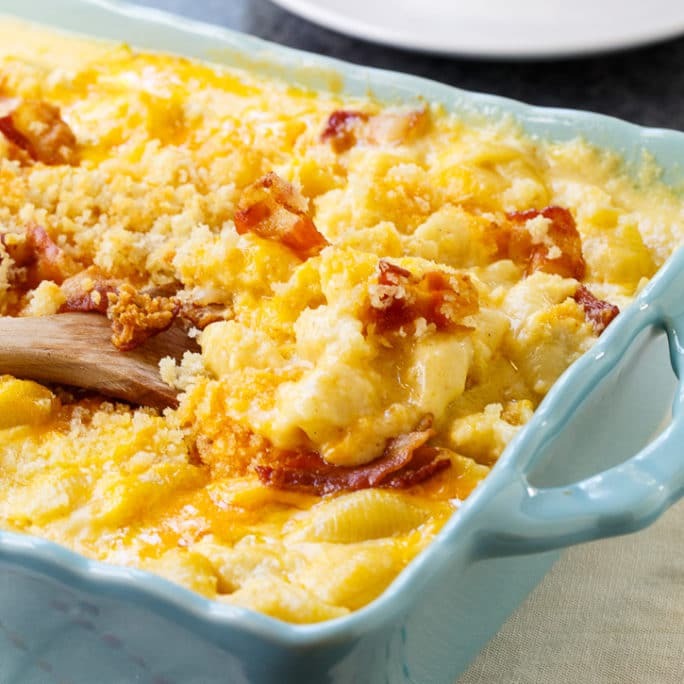 It's in a super creamy sauce flavored with some sherry and parmesan cheese. 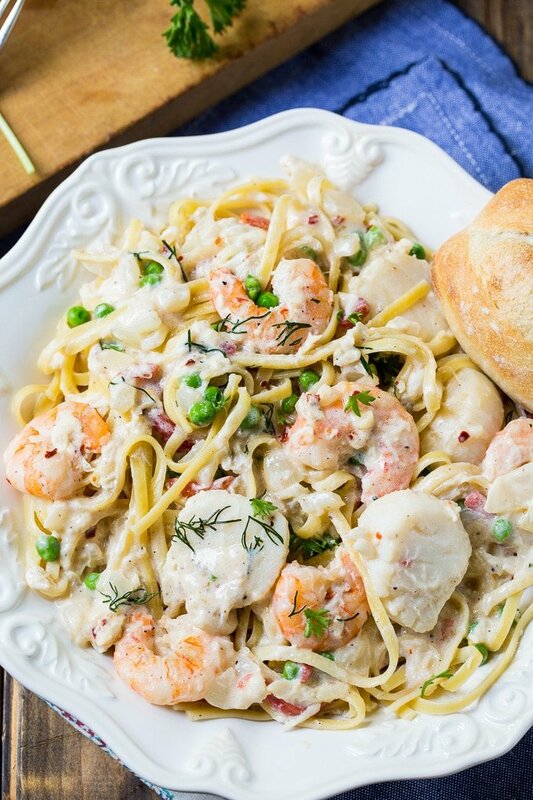 Lowcountry Fettuccine is perfect for a romantic meal or a special occasion. Bring a large pot of water to a boil. Add about 1/2 tablespoon of salt and the fettuccine. Cook according to package directions. Reserve about 1/2 cup of cooking liquid just before draining. Season shrimp and scallops with salt and pepper and cook in the oil for 1 to 2 minutes per side. Remove from pan and set aside. Add butter to the pan (no need to wipe it clean). Turn heat to medium, add onion and cook for 3 minutes. Gradually whisk in half-and-half. Cook and stir until thickened. Add red pepper flakes, black pepper, sugar, and sherry. Add crab meat, peas, pimentos and Parmesan cheese. Turn heat to low and stir until cheese is melted. If sauce is too thick, add some of the reserved cooking liquid. Check for seasoning and add salt to taste. Add fettuccine to the pan and toss to coat. This entry was posted in Dinner and tagged pasta, saefood. Bookmark the permalink.